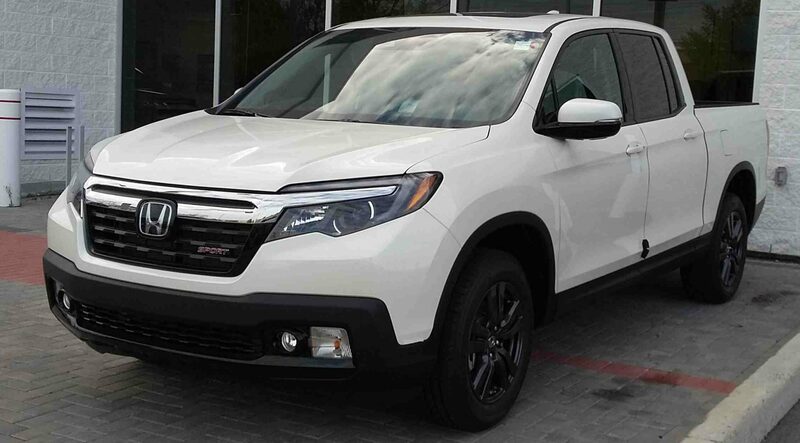 Dow Honda | 2018 Honda Vehicles | The 2018 Ridgeline has Arrived! The 2018 Ridgeline has Arrived! 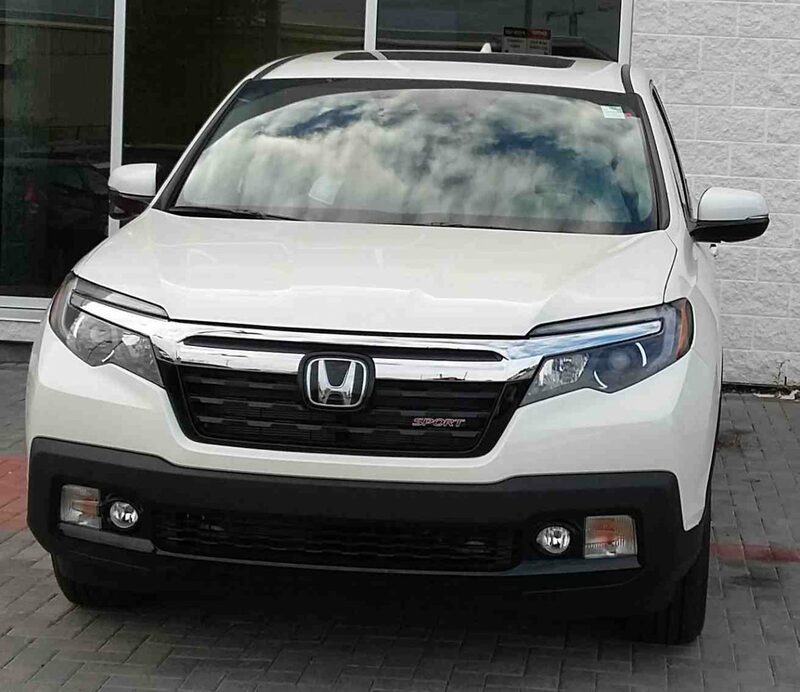 The 2018 Ridgeline has arrived at Dow Honda! 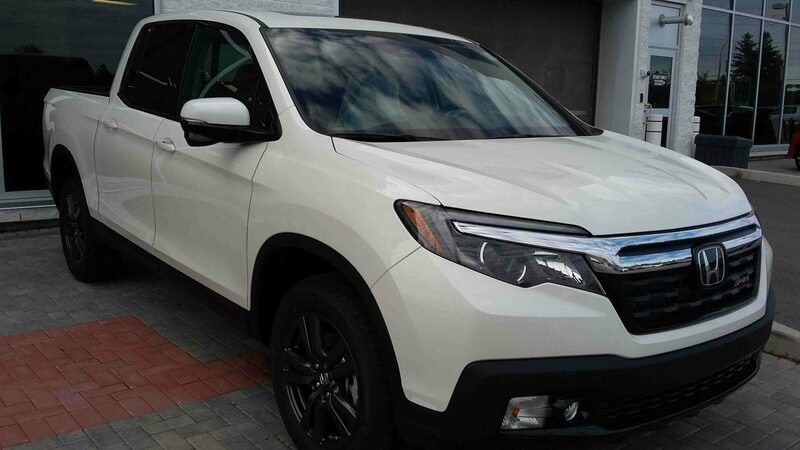 Visit us to see this 2018 Ridgeline Sport in “White Diamond Pearl”! This truck has seating for five, a black fabric interior, and 5,000 lbs of towing capacity. It has a 3.5L, 24-valve, Direct Injection, SOHC, i-VTEC, V6 engine with a 6-speed automatic transmission. This creates an average fuel economy of 12.8/9.5/11.3 L/100km (city/highway/combination). The Sport trim level sits on 18 inch, Shark Grey, aluminum-alloy wheels with a black bumper skid garnish, and a chrome front bar grille. It also features a dual action tailgate that opens up and down, and out (like a door), for easy loading. In addition, it comes with an in-bed trunk, 8 heavy-duty tie down cleats, a power sliding rear cabin window, and a power moonroof. For extra convenience, the Ridgeline includes proximity key entry, pushbutton start, and a remote engine starter. The 2018 Ridgeline Sport comes with Honda Sensing; Honda’s exclusive package of safety features. This includes the Collision Mitigation Breaking System, Forward Collision Warning, Lane Departure Warning, Road Departure Mitigation, and more! The Ridgeline’s safety features don’t stop there! It also comes with trailer stability assist, HondaLink Assist, LaneWatch blind spot display, and a multi-angle rearview camera. If you have any questions about the 2018 Ridgeline, click here to contact us! If you would like to see pictures of the 2017 Ridgeline, click here!